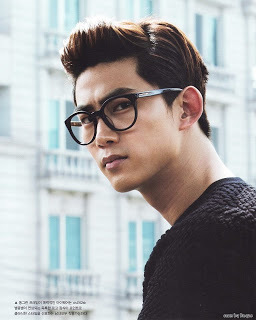 2PM's Nichkhun & Taecyeon Are Men In Black!. . Wallpaper and background images in the 2pm club tagged: 2pm taecyeon gretulee nichkhun. This 2pm photo might contain rue, scène de ville, milieu urbain, ville, scène, urbain, cadre, mise en scène de rue, portrait, headshot, gros plan, and closeup.